Lazy Sunday is day-drinking Dark & Stormies on the couch in the sunshine, with baseball on the TV, listening to the sound of lawnmowers throughout the neighborhood and putting off thinking about Monday. 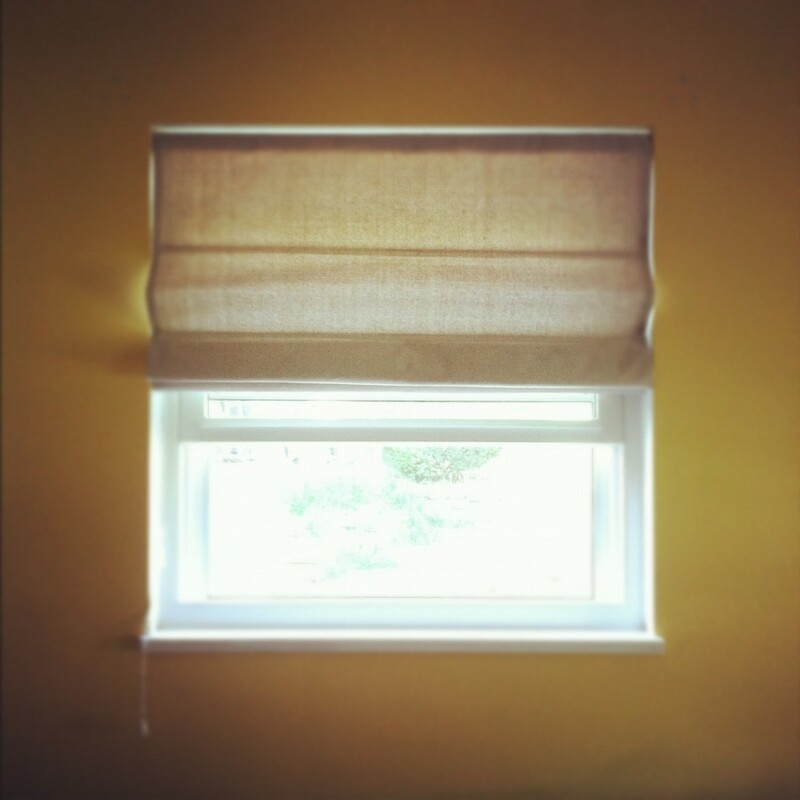 I spent 12 hours of my weekend making three of these roman shades using this tutorial from ReadyMade. We just bought a new couch and the old curtains just weren’t doing it justice. The time spent making these was so very worth it, friends — and so much cheaper than custom. The ReadyMade tutorial is better than others I’ve found (no offense, Martha) but I have some ideas for improving upon it next time. We shall see. My ultimate goal is for our living room to have the same feel as my favorite beach house ever in Stinson Beach, CA. After a new paint job, all we’ll be missing is the sound of waves crashing nearby… so if the ocean could just hurry on up and find its way to western Pennsylvania, things will be perfect. The sound of lawnmowers isn’t such a bad substitute for now. This mod/pop-art influenced knitting pattern is one of the best uses of Noro yarns I’ve seen. Plus, I love modular knitting patterns that mimic the classic granny-square. This is on my Must Knit List! Anything and everything featuring pickled red onions – I need to make these. Here’s a great vegetarian asparagus taco recipe from Serious Eats which I’m dying to try. And, speaking of asparagus, here’s my favorite recipe for “ristotto-style” or “absorption” pasta, which has become a real staple around here in the last couple of years – perfect for any mix of spring vegetables you might have on hand. We just ate some leftovers for dinner! I have some DIY posts up my sleeve here in the near future, but for now let’s be perfectly content to relax. What a perfect Sunday! Hey there, just letting you know that I nominated you for the Versatile Blogger Award!